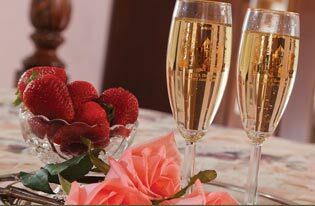 Join us for the ultimate romantic getaway in Idaho. Take a step back in time and indulge in your surroundings. 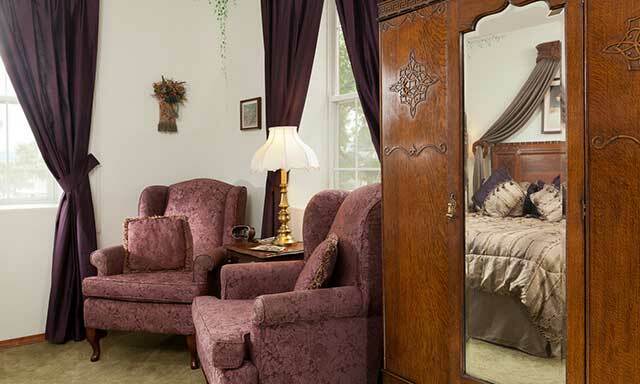 Be enveloped by the large Queen Ann winged back chairs as you relax with a cup of tea and fresh baked cookie. The skillfully hand carved armoire and headboard speak of a time when craftsmen took great pride in their trade-the detail is exquisite! 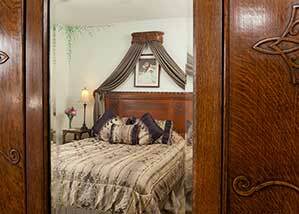 The deep purples, greens, and gold’s of the room give you the true feeling of royalty.